Eurobank offers the most up-to-date banking system to large corporate enterprises whose annual turnover exceeds 10 million euros. 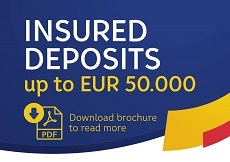 Along with the modern and innovative palette of our products, Eurobank offers a variety of financing services, flexible loan pay-off terms, option for collateral agreement, competitive interest rates and deposit commissions, as well as the shortened procedures for small and midium enterprises whose annual turnover does not exceed 10 million euros. Other non-residents include foreign companies, international government and non-government organizations, embassies, etc. Eurobank offers to its clients professional service in all banking areas. Special attention is devoted to the efficiency and new incentives that make business easier for our corporate clients. If you are doing business internationally we recommend that you secure yourself with a first class bank guarantee. Eurobank a.d. Belgrade offers any kind of conversions at the best price of the market, using Eurobank Group experience in FX markets and latest technical solutions for monitoring financial markets.